Sole Proprietorship Returns, 2012—Profits for almost 24 million returns with sole proprietorship activity for Tax Year 2012 increased during 2011, reaching $304.9 billion. In constant dollars, total non farm sole proprietorship profits increased 6 percent, following a 3-percent increase between 2010 and 2011. The professional, scientific, and technical services sector reported the largest profits of any sector followed by the health care and social assistance sector. In comparison, the real estate and rental and leasing sector and the construction sector reported the larg¬est percentage increases in profits. Foreign Recipients of U.S. Income, 2011—U.S.-source income paid to foreign persons, as reported on Form 1042-S, totaled $568.5 billion for Calendar Year 2011, up almost 2 percent from 2010. 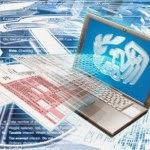 Withholding taxes on this income fell by about 12 percent to almost $9 billion in 2011. Almost 90 percent of all U.S.-source income paid to foreign persons was exempt from withholding tax. 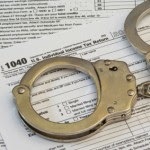 The residual U.S.-source income subject to tax was withheld at an average rate of 15 percent. Individual Tax Returns Filed by Dependents, 1987‒2011—To help customers, who use individual tax data published in Statistics of Income’s annual publications, SOI has separated the data collected from tax returns filed by dependents (dependent returns) from the data collected from all individual tax returns. Prior to the Tax Reform Act of 1986 (TRA86), all taxpayers received the benefit of taking a personal exemption, including those claimed as a dependent on another person’s tax return. The figures and tables in this article include only post-1986 tax data. Individual tax returns filed by dependents represented between 5.5 percent (1987) and 9 percent (2011) of all returns filed during the 25-year period. Partnership Returns, 2012— Partnerships filed more than 3 million tax returns for the year, representing more than 25 million partners. The real estate and leasing sector contained nearly half of all partnerships and just over a quarter of all partners. Domestic limited liability companies made up the majority of all partnerships, surpassing all other entities for the 11th consecutive year. Total receipts for all partnerships increased more than 9 percent over 2011 to $6.6 trillion. FATCA Update! 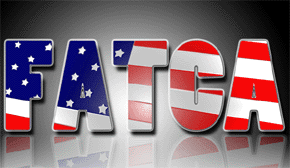 – 112 FATCA Agreement To Date! The U.S. and Seychelles sign agreement to implement FATCA. Seychelles is about to sign a Model 1B inter-governmental agreement (IGA) with the US to implement the US Foreign Account Tax Compliance Act. The Seychelles Revenue Commission will collect the information from domestic financial institutions and exchange it with the US Internal Revenue Service annually. The U.S. and Singapore sign agreement to implement FATCA. According to the Treasury Department, the U.S. and Singapore signed an intergovernmental agreement (IGA) to implement the Foreign Account Tax Compliance Act (FATCA) on Dec. 9, 2014. The U.S. and Iceland & Cyprus sign agreement to implement FATCA. Iceland and Cyprus have signed intergovernmental Model 1 agreements with the U.S. to implement the Foreign Account Tax Compliance Act on Dec. 2, 2014 & Dec. 9, 2014. The U.S. and Republic of Moldova sign agreement to implement FATCA. According to the Treasury Department, the U.S. and Republic of Moldova signed an intergovernmental agreement (IGA) to implement the Foreign Account Tax Compliance Act (FATCA) on Nov. 26, 2014. 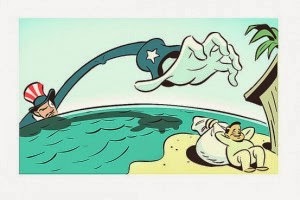 The U.S. and Turks and Caicos Islands sign agreement to implement FATCA. According to the Treasury Department, the U.S. and Turks and Caicos Islands signed an intergovernmental agreement (IGA) to implement the Foreign Account Tax Compliance Act (FATCA) on Dec. 1, 2014. Do You Have Unreported Foreign Income? Any of the Countries Mentioned Below? By Each Country and Links to the Actual Agreements. *Consistent with the Taiwan Relations Act, the parties to the agreement would be the American Institute in Taiwan and the Taipei Economic and Cultural Representative Office in the United States. Law360.com - The Fifth Circuit on Wednesday handed a major victory to poultry production giant Pilgrim's Pride Corp., reversing a U.S. Tax Court decision that asserted the company owed $29.7 million in deficient taxes due to falsely claiming an ordinary loss after abandoning $98.6 million in securities. 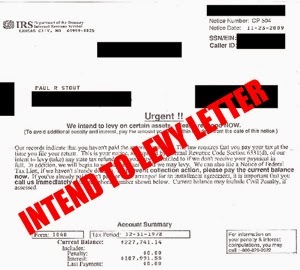 According to Anthony Parent he has just notice that the IRS ACS is now sending Notice LT11 instead of Letter 1058-C "Final Notice of Intent to Levy." The IRS Automated Collection Systems (ACS) has stopped using Letter 1058-C “Final Notice of Intent to Levy,” and instead, is using Notice LT11 (Note: Revenue Officers are still using Letter 1058). This is a rather important change as the Final Notice of Intent to Levy is what every tax dispute practitioner is on the look out for so as to file a Collection Due Process or Equivalency Hearing. 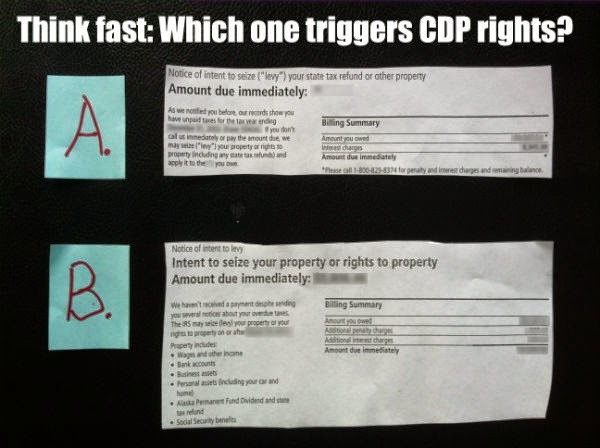 The not-so obvious answer is “B.” The top “A” is from a CP504. the lower “B” is from a LT11. Anthony's conclusion seems to be consistent with IRM 5.11.1.3.3.1 (08-01-2014) which provides ... Recognizing if ACS Issued Notice of Intent to Levy/Notice of a Right to a Hearing. ACS also issues a Notice of Intent to Levy/Notice of a Right to a Hearing. If the ACS transcript shows action code LT11 on or after 1–19–1999 for the same liabilities that a revenue officer will be levying to collect, do not issue an L1058. An LT11 issued before 1–19–1999 was only a notice of intent to levy. It did not include the notice of a right to a hearing.